If you dream of working in a friendly team of like-minded people where you can use your marketing talent and share the experience you are proud of – we are happy to consider your CV for Product Manager position. 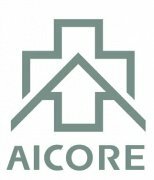 Company “Aicore Consumer’’ is an official representative of AICORE LLP in Ukraine. — Opportunities for professional and career growth.